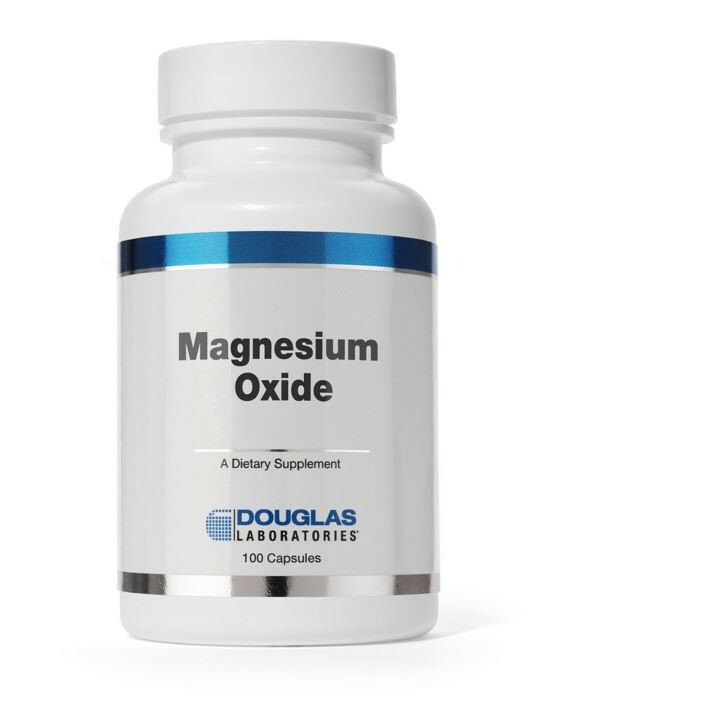 Magnesium Oxide, provided by Douglas Laboratories®, supplies 300 mg of elemental magnesium from magnesium oxide in each capsule. Magnesium is a mineral with a fundamentally important physiological function in the body. However, typical diets in the U.S. and other industrialized countries often provide less than adequate amounts of magnesium. Supplementation with bioavailable magnesium can help bridge the gap between dietary intake and optimal requirement. 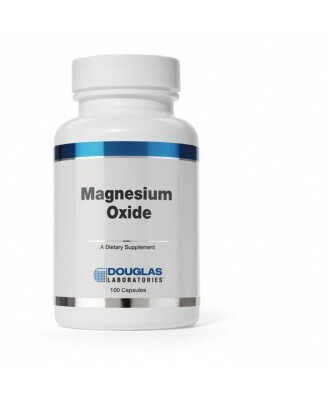 Magnesium plays an essential role in a wide range of fundamental cellular reactions. More than 300 enzymes require magnesium as a cofactor. Complexed with adenosine triphosphate (ATP), the main carrier of metabolic energy in the body, magnesium is essential for all biosynthetic processes: glycolysis, formation of cyclic adenosine monophosphate (cAMP), energy-dependent membrane transport, transmission of genetic code for protein synthesis, and muscle function. Magnesium is also involved in maintaining normal heart function and blood pressure. †Two thirds of the body’s magnesium content is located in the skeleton. Recent animal studies show that magnesium supplementation supports bone formation while increasing its dynamic strength, but also balances normal bone resorption processes.